You’ve seen the scenario play out before: You start something running-related—a training program, a tempo session on the track, a self-care practice like foam rolling, your target race—and you are gung ho. You are confident you will NAIL IT this time, despite your history telling you otherwise. Then the flu invades your house, and three weeks of missed workouts fly by. Or, demoralized by your splits, you quit the workout halfway through. Or you get to mile 11 of your half-marathon, totally on goal pace, but your legs are pissed and your mind has WTF on repeat, so you let yourself off the hook. Here’s the thing: Your intentions aren’t bad. You’re not weak or wishy-washy or wrong. You just need an assist from the complex organ that lives in your head a.k.a your brain. It happens to play the starring role in how the rest of your organs and muscles function. In order to optimize your running, you eat well, you do your push-ups and planks and squats, you foam roll (occasionally, at least). In order to thrive, you also need to address your mental skills: things like learning how to channel thoughts, deal with anxieties, set appropriate goals, and manage your internal dialogue. When you do that, you can execute the training cycle, race or season—or all three!— that you desire. In these unique sessions, Dr. Justin Ross, a sports psychologist in Denver, will lead you through three separate stages of integrating a high-performance mindset into your training. And by the way, we realize high performance mindset sounds like a high-falutin’ program for natural athletes who regularly finish near the top of their age group. That’s so far from the truth. Perform Like a Mother is for athletes of all levels who want to get the best out of themselves, whether that means showing up for 100% of a training plan, quieting the “I-can’t-do-this” voices echoing in your head, finally hitting a sub-30 5K, grabbing a half-marathon PR, or taking on a new-for-you distance. Each session is 90 minutes. It’s in a webinar format, so you’ll be able to interact with Justin and your fellow attendees. Enough time that you can ask individual questions and benefit from hearing about other women’s situations. Prior to the session, you’ll complete a short worksheet to give Justin an idea of your background and how he can help you best perform like a mother. During the 90-minute session, we’ll split the time between presentation and questions from you, making sure we’ve got plenty of time to address your questions. After the session, we’ll make the webinar video available to you so you can watch (again and again) at your leisure, and we’ll also turn it into a podcast. ★ Link motivation and performance, grounding your race effort in tangible reasons. ★ Gather best practices to set the pre-race stage, preparing for topnotch performance. ★ Review in-race strategies to prepare your mind (and body) to achieve success. ★ Tap into ways to utilize mental toughness to push your limits. Please note: Although led by a clinical psychologist, the content in Perform Like a Mother is not intended to be a substitute for professional medical advice, diagnosis, or treatment. • To participate in the session, you can either listen via phone or computer. • During the session, we will spend 30ish minutes on the topic, then spend the remaining time focused on individual needs of and questions from the group. • After the session, we’ll make the webinar video available to you so you can watch (again and again) at your leisure. 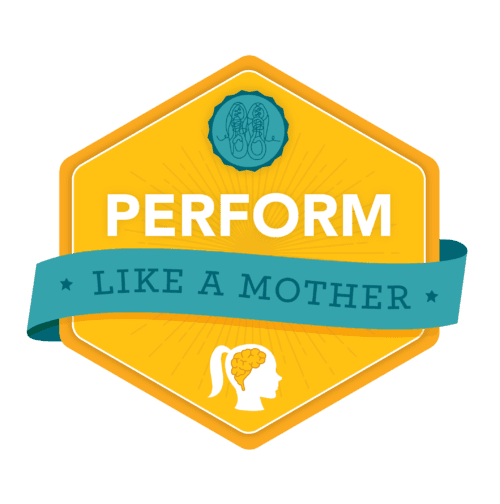 Who designed the Perform Like a Mother protocol? The brains behind Perform Like a Mother is Dr. Justin Ross, a Denver-based psychologist (and #fatherrunner!) who has worked with a variety of athletes. He specializes in helping people address the necessary mental, emotional and behavioral change in order to live and sustain a healthy, desired life. He incorporates mindfulness training and cognitive behavioral therapy ideas into all of his work, using strategies that are relatable and easy to implement. Out of his office, he is passionate about a variety of active Colorado pursuits, including cycling, running, triathlon, camping, hiking and skiing. A qualifier for the 2017 Boston Marathon, Justin is often training for his next marathon or triathlon—and uses both his personal and professional experience in helping his clients achieve their best. • Participating in all three sessions gives you the opportunity to learn and practice all the mental tools you need to significantly improve your mental fitness. We will rotate the three sessions throughout the year. • If you’d like, you can fill out a worksheet prior to the session so you have some reference points to use during your session. • After the session, we’ll make the webinar video available to you so you can watch (again and again) at your leisure; we’ll also turn it into a podcast, so you can listen on a run. What if I want to attend but the date you currently have don’t work for me? Check here to see when we’ll offer the program again. How big are the Perform Like a Mother groups? We are limiting them to twenty women at a time, so you’ll be sure to get your individual questions answered, but won’t feel too overwhelmed. We need to have at least eight women in each session to hold it; if we are unable to fill it, we will reschedule with you or refund your registration fee. So I will be in a group with random #motherruners? Yes, but we are 100% certain that they will experiences and thoughts that will both echo and complement your perspective—and you’ll feel like friends within a few minutes of starting the session. If you want to be in a group with your #motherrunner friends, we’d be happy to set that up: just email us. What if life gets in the way, and I’m unable to complete attend the session I signed up for? We’ll grab all the details of your questions, ask them during the webinar, and share it with you post-session.